Liverpool have been dealt a fresh injury blow with Jordon Ibe ruled out for a month meaning he’ll miss the crucial clash with Manchester United at Anfield, according to reports. 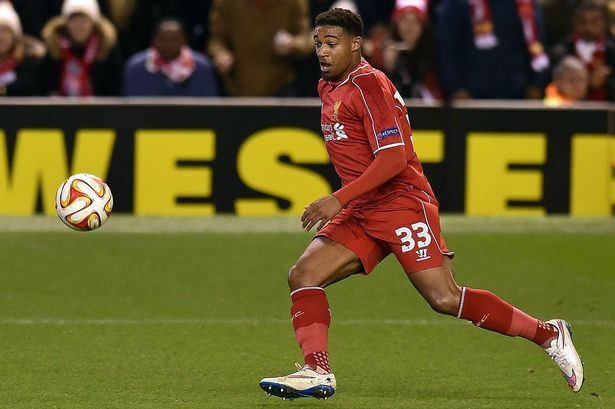 Ibe limped out of last weeks Europa League defeat to Besiktas and was a surprise absentee from the squad that secured an impressive 2-1 victory over Manchester City on Sunday afternoon. The injury was initially not expected to be anything serious, however, it appears it was worse than first feared as the Daily Mail are one of several media outlets who are reporting this morning that the 19-year-old has damaged knee ligaments. The injury is expected to keep Ibe on the sidelines for the next four weeks meaning he’ll miss upcoming matches against Burnley, Blackburn, Swansea and Manchester United this month. The news will come as a major blow to Brendan Rodgers as Ibe has been in excellent form since being recalled from his loan spell at Derby County with the attacker impressing in the right wing-back role in recent weeks. The Merseysiders will still feel they have enough in reserve to beat the likes of Burnley, Blackburn and Swansea but I’m sure Rodgers would have loved to be able to call upon the youngster when United come to Anfield on the 22nd, as that game could prove crucial in determining who finishes in the top four this season. Liverpool moved up to fifth spot in the Premier League table and to within just two points of fourth-placed United following their win over City yesterday, so the battle for Champions League qualification looks set to go right down to the wire. While the Ibe injury is a blow, there is better news regarding the fitness of Steven Gerrard with reports suggesting the skipper is close to making his return from a hamstring injury that’s kept him out of the last five matches. Wednesday’s clash with Burnley may still come too soon for the midfielder but the Express suggest he should be back in contention to take on Blackburn in the quarter finals of the FA Cup this coming weekend.